We are 9 weeks into our marathon training schedule (and just under 9 weeks away from the race!) and this Saturday we run our longest training run to date. We will be running 13.1 miles (coach is having us run 13 but we want to add in that extra 0.1 just to say we ran a half marathon on Saturday), starting in La Jolla and running to Pacific Beach and back. On a weekday training run or even a shorter long run (under 8 miles), I don’t make any big changes to my schedule or eating habits. However, with longer training runs, there a few things I do both before, during and after the run to help me get through it with the least amount of pain. The day before a long run, I make sure to drink plenty of water. This isn’t especially difficult for me, since I sit at my desk all day with a 24 ounce water bottle and fill it up at least 2-3 times. I would guess that between the mid-day drinking, the post-workout water and my evening water consumption, I’m taking in anywhere from 80-120 ounces per day. Another thing I make sure to do the day before a long run is to eat plenty of carbs, lean protein, and a small amount of fat. Luckily these are all part of my Phase 3 P90X diet so it hasn’t been hard. If I were still on the low-protein Phase 1 of P90X, I would increase my carbs the day before the run. Last, I try to eat something I’m familiar with the night before the run and NEVER too much dairy, fiber, or fat. I’ve tried several breakfast options before long runs. I’ve realized that oatmeal doesn’t sit well with me and I avoid it. I’ve tried cereal but I find it feels a little too heavy in my stomach. Ultimately, I’ve settled on either a slice or two of toast (low fiber) or a bagel with peanut butter and either a half or full banana. 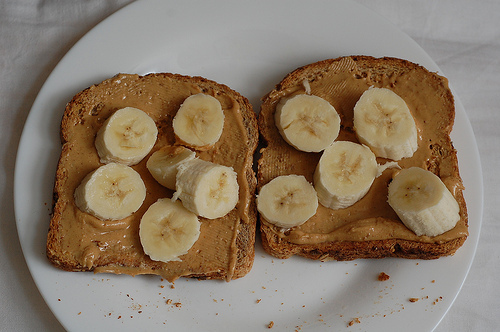 Last weekend I had a slice of wheat toast, peanut butter and a full banana and I had a fabulous 8.5 mile run at an average pace I didn’t even know I could maintain. I try to drink a full glass of water at least an hour before the run and then don’t drink too much during the hour leading up to it. Vanilla Bean GU - the best! 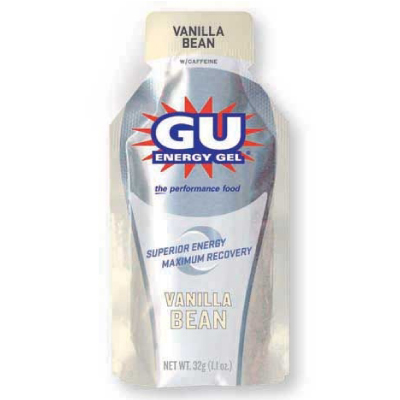 Depending on the length of the run, I will have 1-2 Vanilla GU gel packs. For my 13.1 mile race, I plan to have a GU at mile 4.5 and another at mile 9 or so. During a half-marathon race, I will usually have 2 1/2 – 3 GUs. My running group has aid stations set up throughout the course, so I always make sure to drink at least a few Dixie cups full of water during my run. I also have at least one cup full of some sort of electrolyte drink at the aid station too (usually they fill one jug with Cytomax or something similar). To non-runners, the concept of consuming food during a run may seem strange. It definitely did to me at first. However, I’ve come to the point where I actually look forward to stuffing the sweet GU in my mouth! It also has caffeine (which on P90X I completely avoid and plan to continue to after we are finished), which gives me an energy boost. I make an exception for caffeine during runs, although there are a few flavors of GU that are made caffeine free (there is 20 mg of caffeine in one Vanilla GU packet compared to 100-200 mg in a cup of coffee). Branched Chain Amino Acids: Help convert protein into fuel (this is also a main ingredient in our recovery drink. Also helps you stay more alert during the race by preventing fatigue. Calcium: Replaces the calcium you lose during exercise. Calcium loss has been linked to fatigue. Caffeine: 20 mg assists in metabolizing fat during exercise as well as helps you stay alert. Sounds like the folks at GU know what they are talking about. There are several other types of gels as well as energy blocks that have the consistency of candy. Another option is to get your calories and nutrients from a liquid, although personally I don’t like to have a lot of water in my stomach while I run. Click here for more info on what’s inside GU: http://www.guenergy.com/products/gu-energy-gel/ingredients-benefits_learn-the-science. Despite my preparation for a run, not all of them go smoothly. I tend to feel better on long run days, most likely because my mid-week runs are after a long day at work and a morning P90X workout. 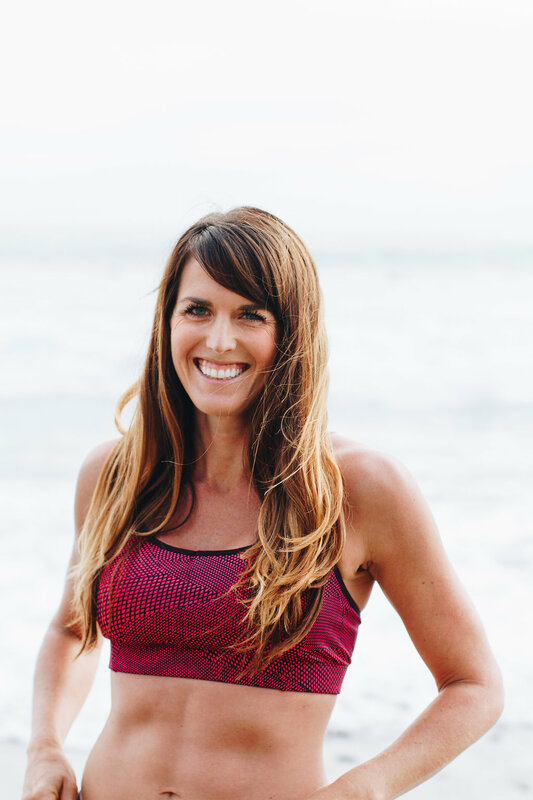 The best advice I have for anyone preparing for a race is to try everything out during your training runs before you use anything on the big day. Do not even wear new underwear on race day. Don’t even think about eating anything you don’t normally eat, because you never know how it will affect your performance on race day. Try out your mid-run snack, pre-race day meals and breakfast ahead of time. It’s always better to be safe than sorry!